Su Hock Koh, Dropbox Head of Local Business and Partners (Asia) believes in harnessing the power of networks for doing good as well as to create extraordinary possibilities for greater economic, social, environmental and human good. 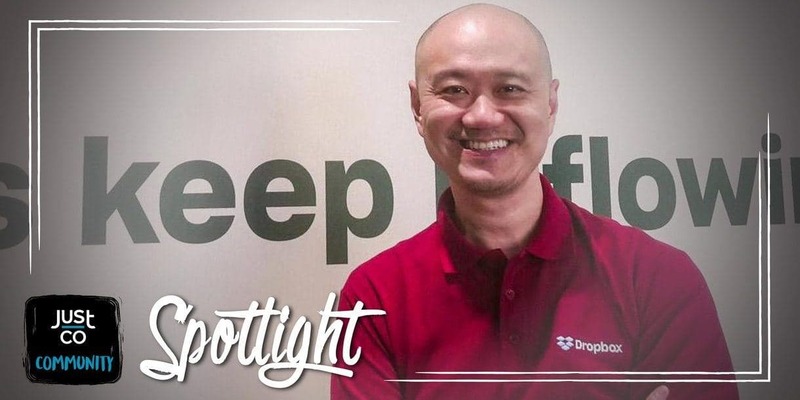 So it’s no surprise that he loves working in a coworking space and chose JustCo as home to Dropbox’s Asia headquarter. “Not only does JustCo offer beautifully designed spaces and attentive community teams at each location, it also engages its members with regular events and offers services which are both professional and personal.” Su Hock and his team are no strangers to the coworking concept as they had worked at another smaller coworking space before moving to JustCo. When their team outgrew the space and they needed a new location, they were impressed by JustCo’s personalized service and access to senior management: “Everybody made us feel welcome from day one. Not all coworking spaces have this service attitude and attention to detail so it was a pleasant surprise and a huge pleasure to work with the JustCo’s team – they are really the perfect embodiment of the JustCo brand story”. But Dropbox is not just a member, it is also a partner to JustCo. Dropbox provides cloud computing and collaborative tools to all JustCo employees and offers exclusive benefits to JustCo members. “From the beginning we realized that both us and JustCo are really in the business of connecting people and making their work faster, easier and more productive. JustCo does it through space, we do it through the power of the network”. Currently, Dropbox houses its Asian HQ at Marina One, where they lease a beautifully appointed office. “Besides our own private suite, we often use other common areas, from casual and semi-casual spaces to formal meeting rooms or phonebooths when we need more privacy. Having partnered with JustCo for so long, we have seen how JustCo is constantly evolving their product to cater to their members’ needs” says Su Hock. “What we appreciate the most is that they really listen to feedback and always endeavour to improve their members’ experience.” This partnership extends to events, which are a centrepiece of the JustCo experience. “We organize regular events at JustCo, where we invite panelists on a range of topics from new technologies to the future of work. JustCo has a variety of spaces that fit our needs.” Dropbox is just one of the examples of how JustCo builds and nurtures amazing communities at its coworking spaces. Join the JustCo community now!